We thought we would give you a little more information about the Sutterton Bells – the bells in the Church. 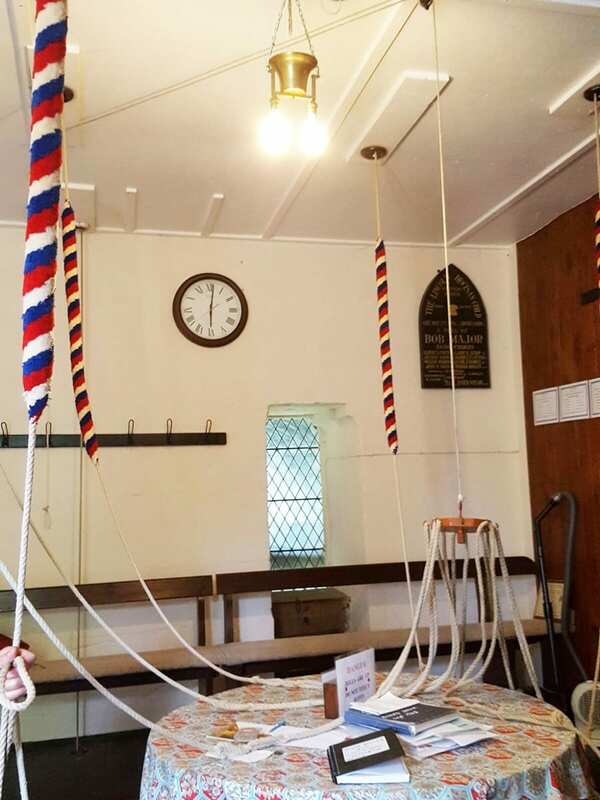 Sutterton Parish Church is blessed with a fine peal of 8 bells dating from the 18th C. They are hung within the tower and are rung from a ringing chamber situated above the choir/crossing. The chamber is reached via an external stair turret on the south side of the church. Note: you can click each image to view their full size. 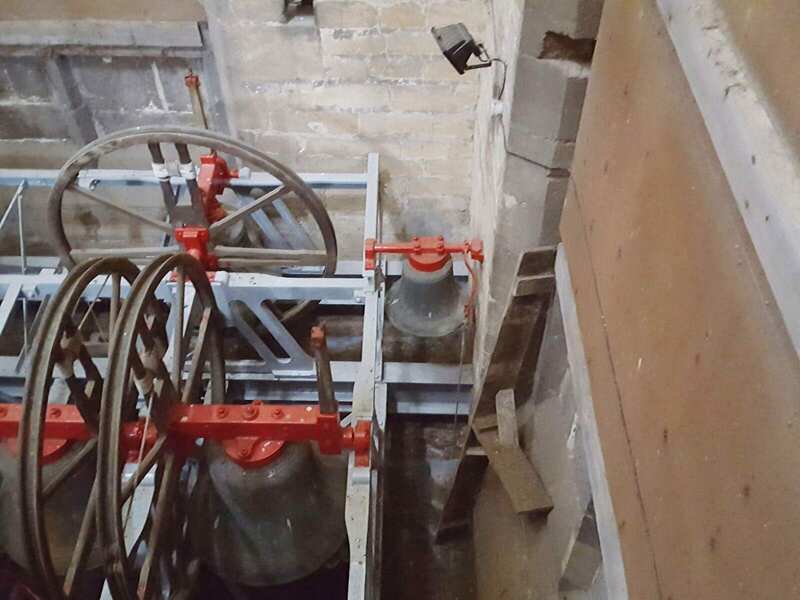 In 1937 the bells were re-hung on a cast iron frame with ball bearings standing on a substantial steel framework. At the same time some of the bells were re-cast. 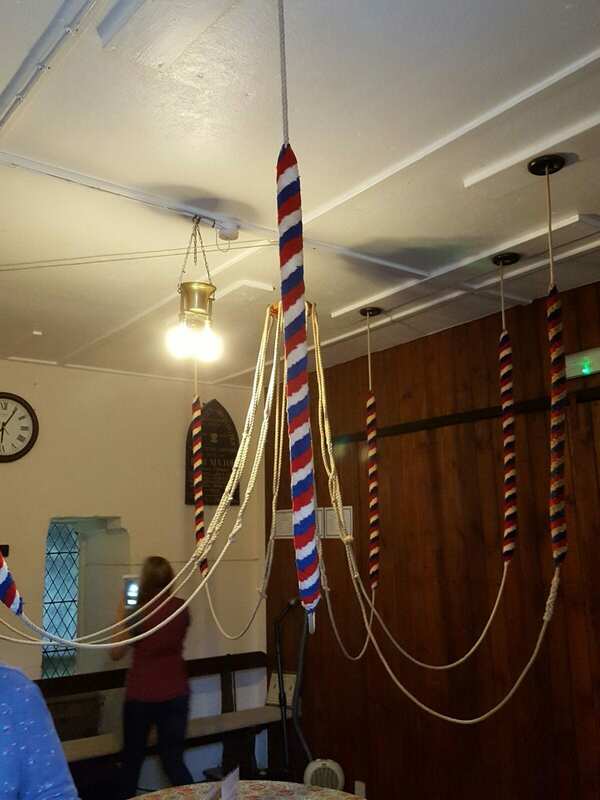 Here you can see the Bell Ropes in the red, white and blue. There is also a Sanctus or Priests bell dating from the 14th C cast by Simon Hathfield of London. 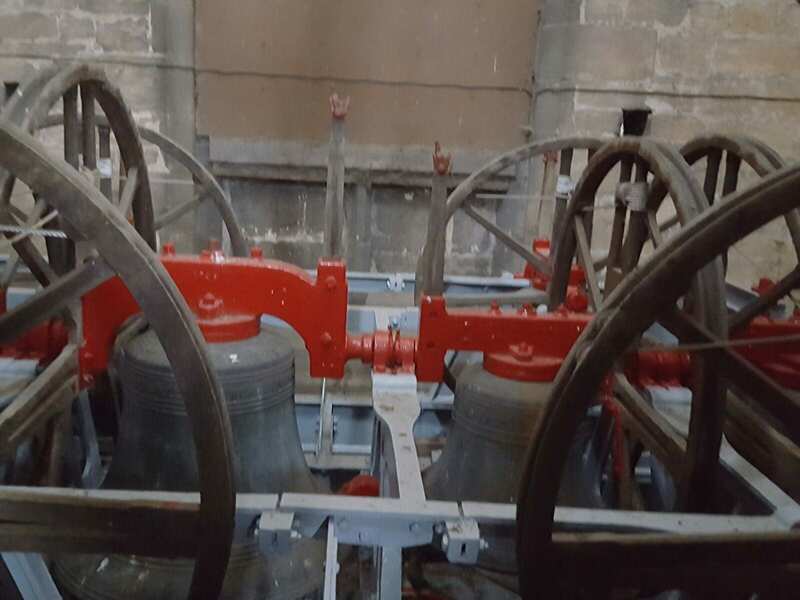 There has been a quite lengthy period of maintenance recently during which the bells have been silent. This is now completed, and normal use is being resumed. 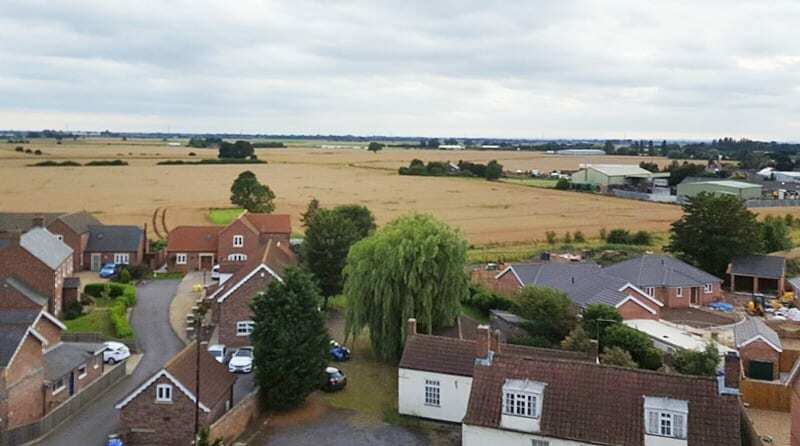 Here is a great view from the top of Sutterton Church, overlooking the fine landscape of Sutterton and surrounding Lincolnshire, and we thank our fine photographer for taking the time to get to the top of the Parish Church, to take it for us.